Q. How do I find international comparative data on the distribution of top income including the top 1% of earners? Emanuel Saez, Facundo Alvaredo, Tont Atkinson, and Thomas Piketty. The world top incomes database aims to providing convenient on line access to all the existent series. This is an ongoing endeavour, and we will progressively update the base with new observations, as authors extend the series forwards and backwards. Despite the database's name, we will also add information on the distribution of earnings and the distribution of wealth. 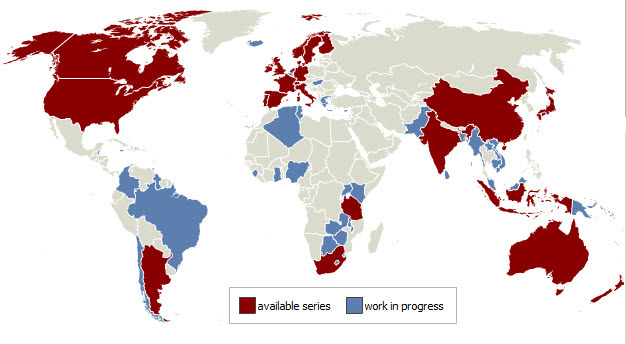 As the map below shows, around forty-five further countries are under study, and will be incorporated at some point (see Work in Progress).